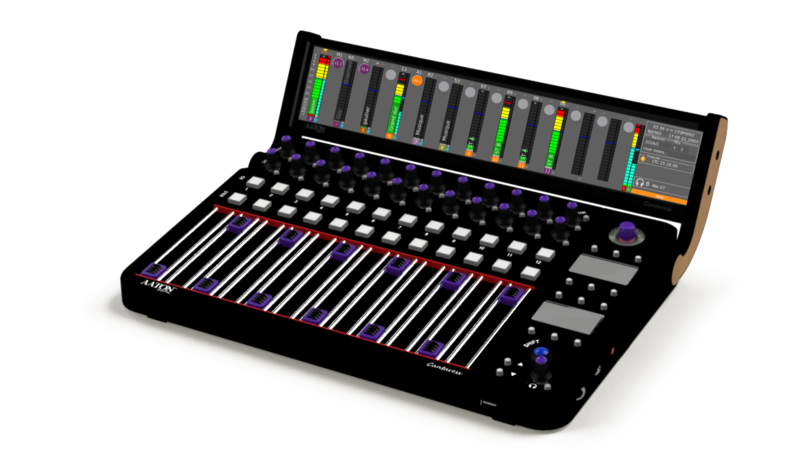 Large ergonomic mixing surface with 12 assignable channel strips. The Cantaress provides for each channel an instant view and setup of analogue Input gain, solo functionalities, mix gain and equalization. Ethernet connection to the CantarX3 or CantarMini.